They say as we get older it gets harder and harder to lose weight. Is this because we’re eating more and exercising less? Not necessarily. But there’s a pretty good chance that something else is happening – our metabolism is slowing down and making it harder to burn off the calories in the food we eat. Fortunately, there is something that can be done about it; actually several things. If you’re concerned about a sluggish metabolism, here are some simple changes you can make to speed it up. Supplying your office group with crisp, clear, delicious filtered bottled water along with other office refreshments makes good business sense no matter what the size of your office may be. Small, medium and large offices all will benefit from office water delivery alike. Depending on how you set your office water delivery service, there are savings to be had in your time management, physical labor, productivity and bottom line. 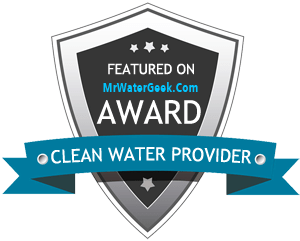 If you have never used any of the water delivery companies in Colorado Springs, or are thinking of making a switch, there are a few things to consider when comparing your local options. Recent news in Colorado Springs made a lot of Southern Colorado residents worry about the safety of their local tap water. Clean water is crucial for the health of you and your family so when the EPA puts out a report stating that your tap water contains dangerous levels of PFCs, it makes this basic life necessity seem even more precious than before. Most of the 80,000 residents dealing with the contaminated water are turning to purified bottled drinking water to keep hydrated during the hot days of the summer. Using a Denver water delivery service for all of your of your drinking water, cooking, ice and refreshment needs at home or at your office is a smart choice. Why? Because it promotes a stress-free way to ensure that you, your family and your business are drinking plenty of crisp, clean bottled water without having to run to the store on a regular basis. Customers of a quality water delivery services in Denver have this healthy convenience that offers far reaching benefits. By ensuring there is a delicious supply of reliable water at hand for your family or work family, you are promoting health, vitality and wellness.